The first centenary of Aldo Moro’s birth: a chance to reconsider a complex personality, who marked the Italian life for more than 30 years, and whose image was crushed and partly lost in the tragic events of the 1970s. In order to resume, and restore, a broken path that involved a whole nation, its institutions, culture, and politics – highlighting those parts that still survive inside our present times – we followed two different paths. On the one hand, we searched for historical sources, through the census of known sources and the identification of new ones. The first can be found in institutional places (Presidency of the Council, Ministries, Chamber of Deputies, Senate, etc. ), in the society (parties, associations, single persons, newspapers, etc. ), and elsewhere (State Central Archives, State Archives in Rome, Archivio Flamigni). We also found documents kept by bodies and institutions as the Universities of Bari and Rome, the Teche RAI (the RAI multimedia archive), cultural institutions and foundations, newspapers’ archives, and documents kept by private citizens and diverse associations. Moreover, we paid particular attention to searching and collecting oral sources. Go to the constantly updated Archives section (in Italian) in order to access to individual fonds and all infos. On the other hand, we set up an online exhibition: A life in images. 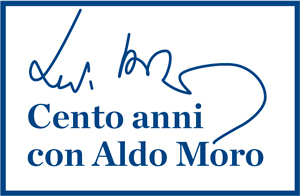 An exhibition for Aldo Moro. Research now approaches Aldo Moro as the most important Italian politician of the 1960s and 1970s and, above all, as the man who contributed the most in shaping the political fight, understanding its deepest reasons and foreseeing solutions. We assembled his biography by collecting pictures, thoughts, documents, and videos. All these may help to understand how his destiny and his personal call met with the communities he connected with: his Region, the Catholic world, as well as his studies, his teaching, his party, politics, the Parliament, the Country, and the world, together with his relationship with the young, his friends, and his beloved.